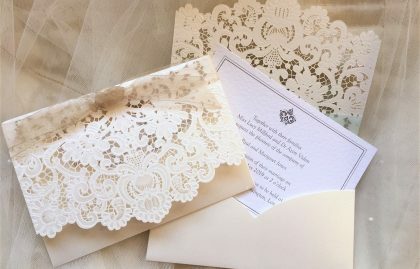 Lace wedding invitations are supplied with free envelopes and free guest name printing. 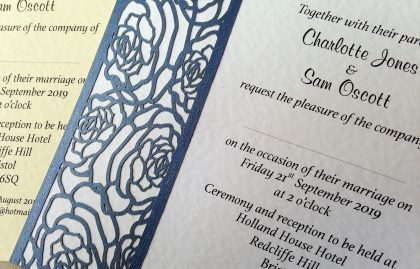 Invitations are despatched fully assembled and there are no hidden costs. The price is the same, whatever quantity you order. Season after season lace features on catwalks from New York to Paris. 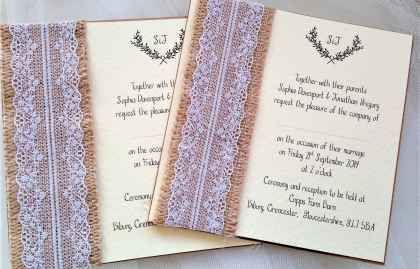 Invites finished with lace continue to be a popular choice for brides. 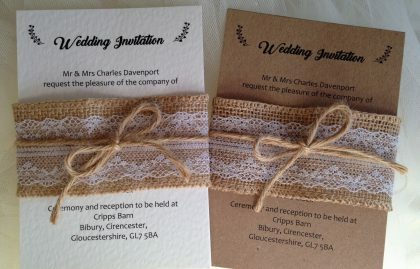 If you are planning a more rustic wedding take a look at our range of burlap and lace wedding invitations. 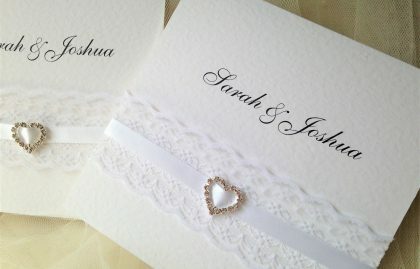 These are a perfect choice if you’re planning a barn, farm or country wedding. 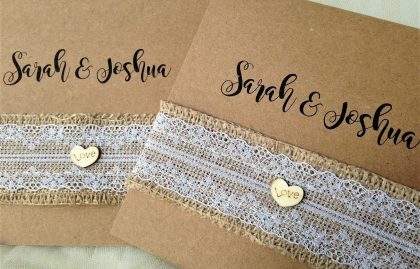 Why not decorate wedding day accessories with burlap and lace to match? 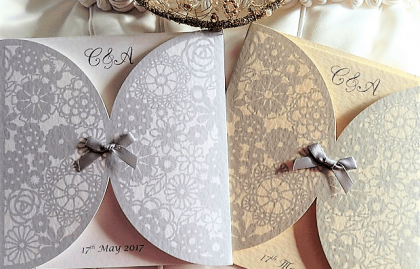 Choose your typeface and card colour to create your perfect invitation card. 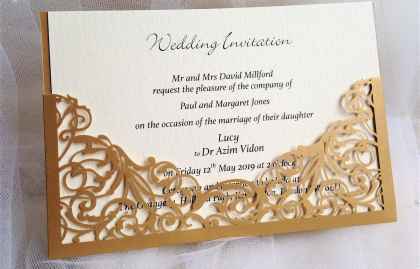 Evening reception invitations are available in the same style. 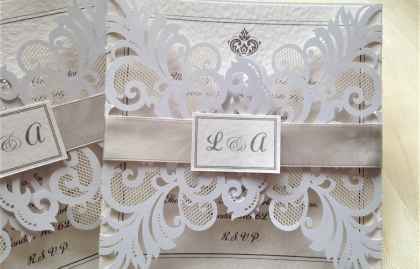 Order beautiful lace wedding invites today for quick delivery.